The picture of this Couch’s Kingbird was taken during our stay at the charming B&B called Inn at Chachalaca Bend in Los Fresnos, Texas. 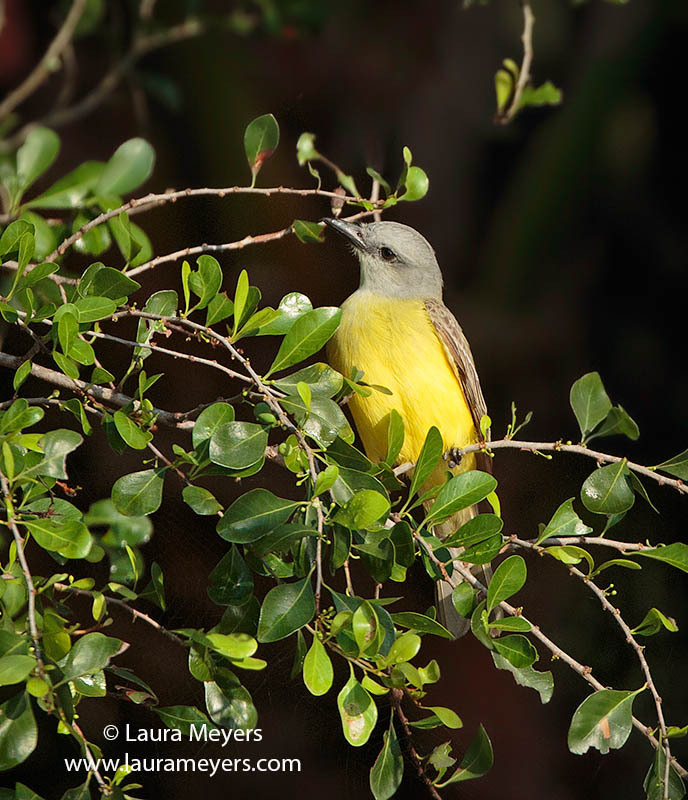 The picture of this Couch’s Kingbird was photographed with the Canon 5D Mark III Canon 300mm f2.8 IS II with the 2X extender. To hear the song of the Couch’s Kingbird, click on the arrow below. 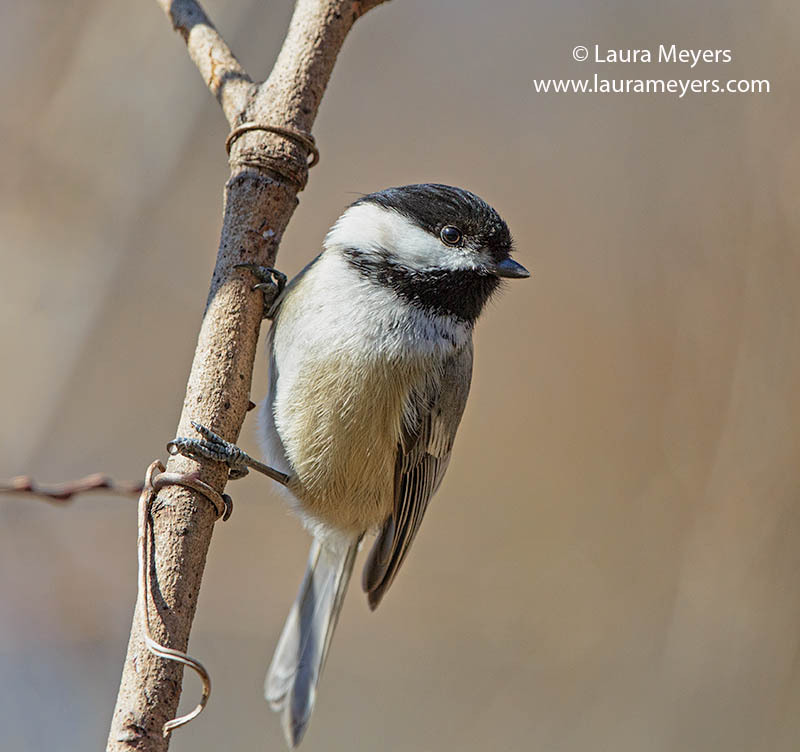 The picture of this Black-capped Chickadee on Tree was taken the New York Botanical Garden. The picture of this Black-capped Chickadee was photographed with the Canon 5D Mark III Canon 300mm f2.8 IS II with the 2X extender. I aways love the watch the antics of a Chickadee. It warms up a cold winter day. To hear the song of the Black-capped Chickadee, click on the arrow below. 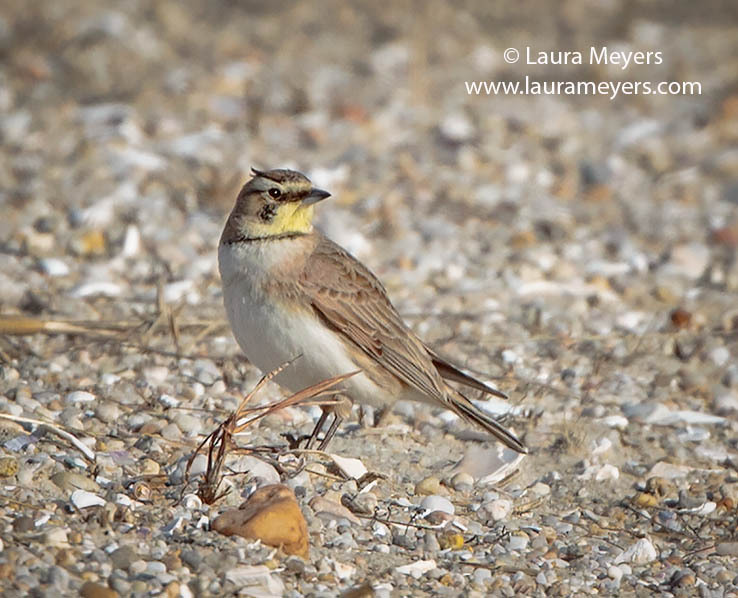 The picture of this Horned Lark was taken at Jones Beach State Park in Nassau County, New York The picture of this Horned Lark was photographed with the Canon 5D Mark III Canon 300mm f2.8 IS II with the 2X extender. Horned Larks inhabit an extensive elevation range, from sea level to an altitude of 13,000 feet. To hear the song of the Horned Lark, click on the arrow below. 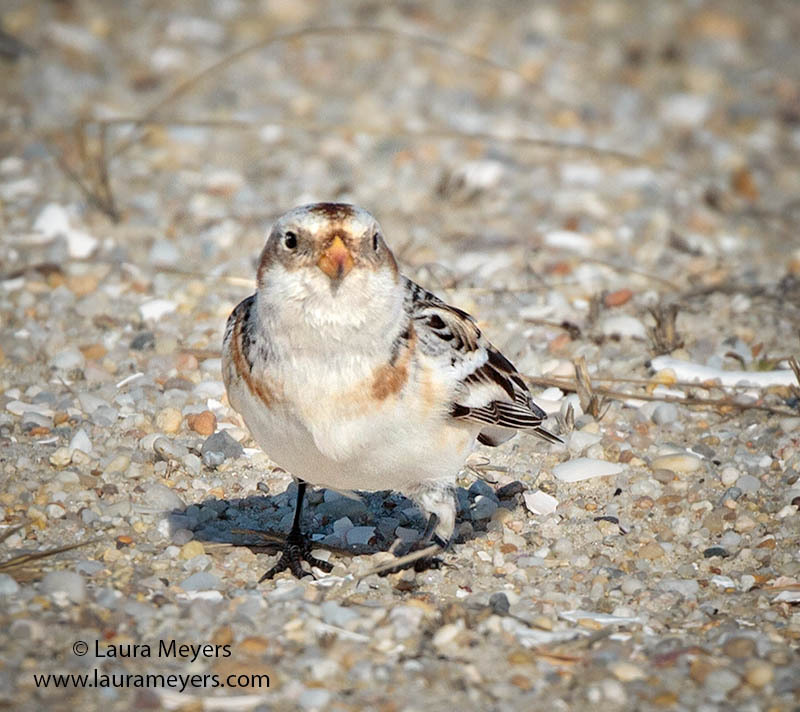 The picture of this female Snow Bunting was taken at the Jones Beach State Park in Nassau County, New York.The picture of this Snow Bunting was photographed with the Canon 5D Mark III Canon 300mm f2.8 IS II with the 2X extender. I have been trying for many years to get a decent photograph of one of these Snow Buntings and am grateful to this cooperative gal. To hear the song of the Snow Bunting, click on the arrow below. 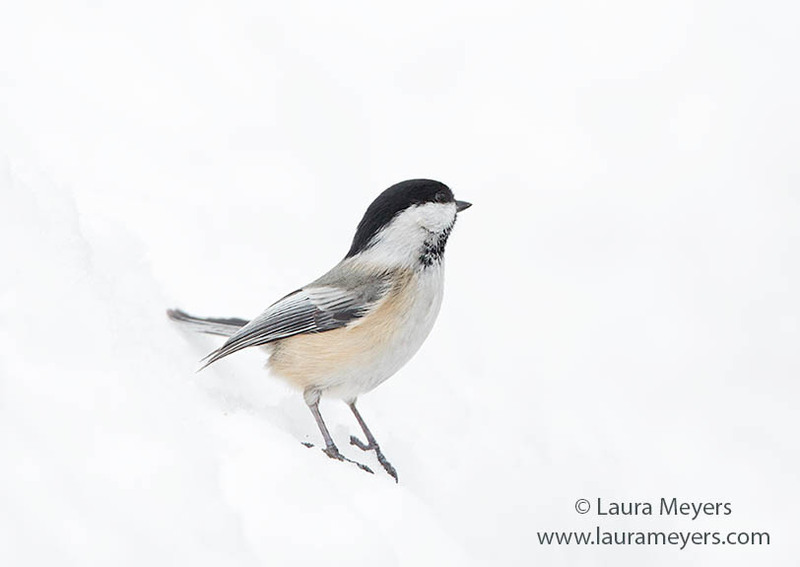 The picture of this Black-capped Chickadee in Snow was taken at the New York Botanical Garden in the Bronx, New York. The picture of this Black-capped Chickadee in Snowwas photographed with the Canon 5D Mark III Canon 300mm f2.8 IS II with the 2X extender.